This list of simple garden hacks will help save you time in the garden and give you easy ideas to implement that will make your garden thrive. Gardening has been a passion of mine for as long as I can remember. Every spring I’m eager to get out and see what’s growing, clean up all the winter debris, and plan what I want to buy and grow for the coming season. 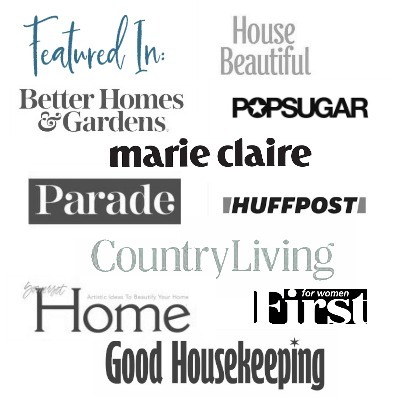 Over the years I have picked up a few tricks of the trade, or garden hacks, that help me in the garden, and today I’m sharing seven easy ideas with you. Do you wear gloves? I do, but so often I find my hands in the dirt without gloves, and sometimes the dirt almost stains my skin. Lava® Soap is known for its powerful volcanic pumice, which makes it easy to remove dirt and grime from your hands. The soap uses it in combination with other cleaning and moisturizing agents to really remove all the dark residue that can remain on the skin. Using Lava Soap is a great tip, but to take it one step further, try scraping a bar of the Lava soap with your finger nails before your venture into the garden. This will prevent the dirt from getting under your nails and makes for a quick and easy cleanup. I learned this trick as a child during day camp with the Girl Scouts. Place a piece of the Lava Soap into the bottom of a pantyhose. Tie it to the handle. Then use a golf tee and some twine, also tied to the handle, and insert the tee into the corner of a gallon water jug. Hang this on a tree, or Shepherd’s hook in the garden. Now you have a little soap and water station in the garden, so you don’t have to go back and forth to the house to clean up. This technique was taught to me by my mother when I started my first garden as a newlywed. When planting transplants, dig a hole and add water first, aka “puddling,” before setting the plant into the hole. This ensures that the roots are watered thoroughly. Because sometimes when you water from the top, the water may run off and not reach as well to the bottom of the root ball. Use a garden bucket tool belt to carry all your vital tools around with you in the garden. Having important tools like 3-IN-ONE® Multi-Purpose Oil at your fingertips will come in handy when you are already in the garden and need to quickly lubricate garden shears and pruners at a moment’s notice. Learn about more tool maintenance tasks 3-IN-ONE Multi-Purpose Oil can help you with, with this garden tool prep tutorial. Even though I have been gardening for many years, I have never created a traditional compost pile. 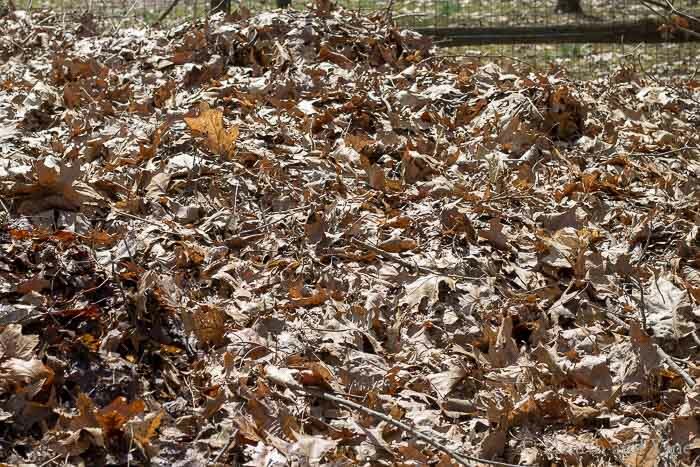 I have a compost pile, but it is simply dried leaves, plant clippings, and other plant material, all thrown into the same heap next to our shed. These materials, along with the help of Mother Nature, eventually break down into rich compost. All you need to do is dig underneath to access it. This trick pertains to those of us in the north. I live in Pennsylvania. We get wonderful warm gardening weather as early as March. However, we can also get snow in April, or more likely a hard frost in May. While Mother’s Day, mid-May, is a pretty good time to start planting in my area, I need to keep an eye out for a late frost, or many plants will take a direct hit from the cold. Thankfully the weatherman is pretty good at letting us know when a frost is coming. So, if I have any tender or newly planted shrubs or pots, I get out old bed sheets and cover them overnight. Trash bags work well too, but I like the size of the sheets more, and they can easily be washed, and used over and over again. For those of you who prefer natural methods of gardening, and worry about dangerous runoff to our water supply, I suggest using boiling water on weeds. This works well in sidewalk seams for many weeds and grass. Dandelions, which have a deep taproot, may not die off so easily, but they will take a hit. It’s easy enough to get the kettle out, and this garden hack helps keep the sidewalk looking clean. I hope you enjoyed my list of garden hacks, and that they help make your life a little easier, giving you more time to enjoy the fruits and flowers of your labor. 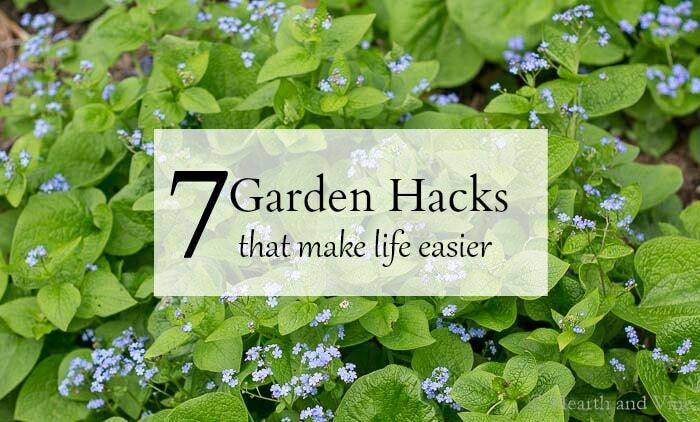 Do you have any garden hacks or tips? For more gardening tips, follow 3-IN-ONE on Facebook and Instagram. To get a discount on a 3-IN-ONE product click here. You can find 3-IN-ONE Multi-Purpose Oil at most big box stores and hardware stores, including Walmart. To find it at a store near you or online, click here. To get a discount on Lava Soap click here, and here to find a nearby store where you can buy it. Don’t forget to follow Lava Soap on Facebook too! You are speaking my favorite language, Patti! Sharing and pinning. I’m so glad you like the post Stacey. This is also one of my favorite hobbies and time of year. Hi Patti! Great ideas for the garden! I hadn’t seen the water jug/soap idea before and I’m definitely going to use that! Pinned several photos and used Tailwind on others because there are just so many good ideas in this post. Thank you! Thanks Barbara. Sometimes those old tried and true tricks are the best. Great gardening tips, Patti. What is great about 3 in one is it can be used on so many things and it doesn’t have an annoying scent. You are so right Pamela. Just about anything that needs a little lubrication can benefit from this little can. Hi Patti, I love all of these tips. The water station is genius. I remember we always had some Lava soap around for my Dad and brother to use on greasy hands after working on the cars! And I really need to have one of those garden bucket belts. I’m always leaving tools all over the place! Thanks Nancy and you are so right about Lava Soap. Perfect for greasy hands of all kinds. Great tips! I particularly like the wash up station! Too cool. I am sharing. Thanks Nikki. Leave it to the Girl Scouts, right? Great post, Patti! I never knew that about Lava soap having a pumice-like affect on the skin. Interesting! Pinning! Thank Julie! You definitely need to try Lava Soap. It’s perfect for a DIYer like you. Great tips! Love the 3-In-One oil one because I’m forever forgetting to oil up my pruners! Thanks Pam. I agree that oil is the best for our pruners. It really helps keep them from getting sticky and helps remove the rust too. That’s great Maria. Best of luck on your new garden! Patti, thanks for these helpful tips. So many of these I haven’t thought of but will be using this spring. I’m so glad you like them Michelle and I hope they work great for you. Very useful tips Patti, even for a brown thumb like me. I can use all the help I can get! Thanks Mary. Anything to make life a little easier. Love the carry bucket! I live on a hill and it always seems my tools are either up the hill on back down the hill. Thanks Jonni. It’s something I have used for years. The first one was a simple khaki canvas but a couple of years ago I made a new one because I couldn’t believe all the pretty canvas prints that are now on the market. I’m a beginner gardener so this were great tips for me. I especially like the lava soap under the nails because that is a BIG pet peeve with me. I also liked the boiling water idea. My father in law has lots of weeks in his driveway and uses round up. The boiling water will be much easier, safer and even cheaper for him. Great post! Thanks Denise. The boiling water works better on some plants than others but it’s definitely easy and worth a try. Even some of the though weeds can be weakened and eventually killed with the boiling water method. Tips 3 and 7 we have in common, been doing them for years and so helpful. I use the hot boiling water on fire ant beds too and it works like a charm. I love the idea of #2 – were doing something similar but with a water bucket to get the first layer of dirt off. Adding the soap with a nylon is brilliant. So I’m going to have to pick a spot for this after they come clean up from installing the septics. Still waiting on that…. I’m not surprised that you already do some of these little tricks Carole, and glad that you may have found some helpful. Love the boiling water idea on weeds! Safer for the dog than using chemicals. Yes, it works pretty good, though you may need to hit some of the stubborn ones a few times. These are great tips. We still have a small amount of snow on the ground but it should be gone this week. I am anxious to get out and start cleaning up the yard. I love the makeshift water station with the Lava soap. I am going to do that for sure. I hate having to run inside to wash my hands all of the time. Thanks! It’s a great help. I wish I had a beautiful outdoor sink with a potting station but until then this works out well. Even though I try to wear gloves, I end up taking them off and getting dirty hands all the time.